Misty Fjords National Monument. A new high in discovering Alaska scenery. 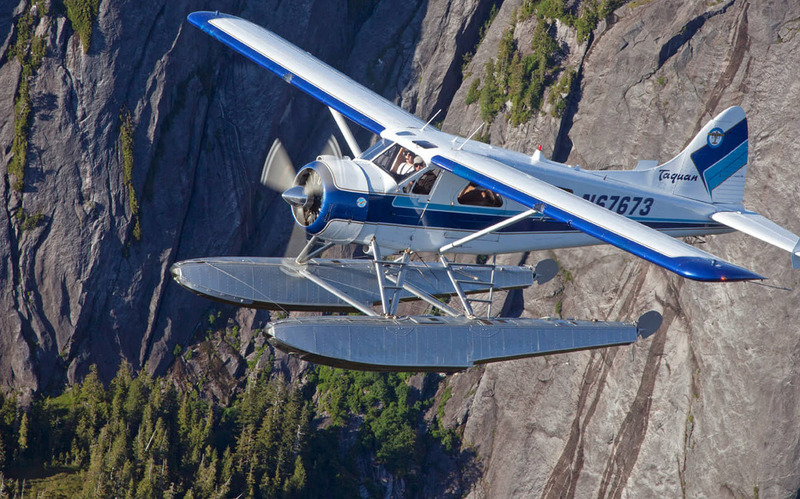 Fly through the Misty Fjords National Monument on a once-in-a-lifetime floatplane adventure. 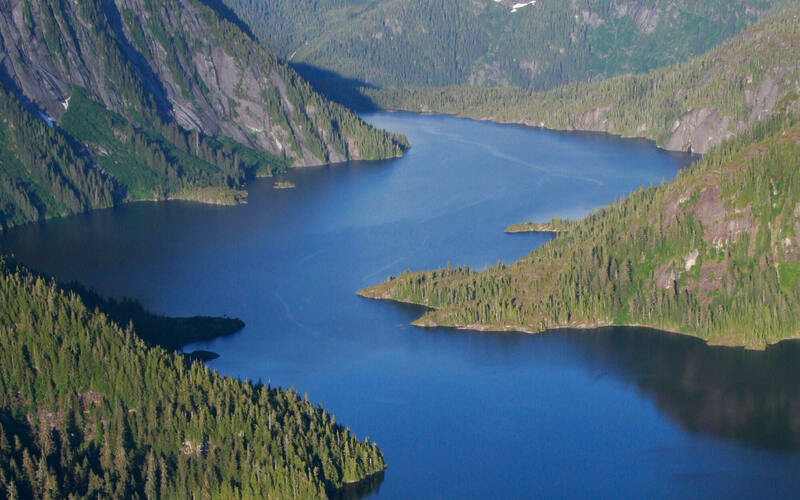 Wondering what to do in Ketchikan? We’ll fly you up and over the most breathtaking Alaska scenery you may ever see. 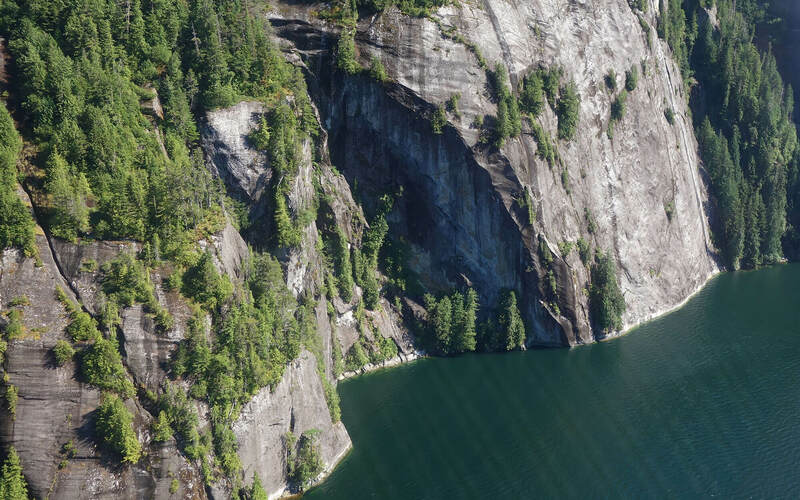 During your 55 minute flight you’ll have an eagle’s eye view of Misty Fjords National Monument, a land of awesome natural beauty and rugged grandeur that’s best seen by air. From your window seat you can follow your route with a detailed map. All the while you’ll hear commentary in your headset describing where you are and what you’re seeing. What it’s really like to see the Misty Fjords by air. 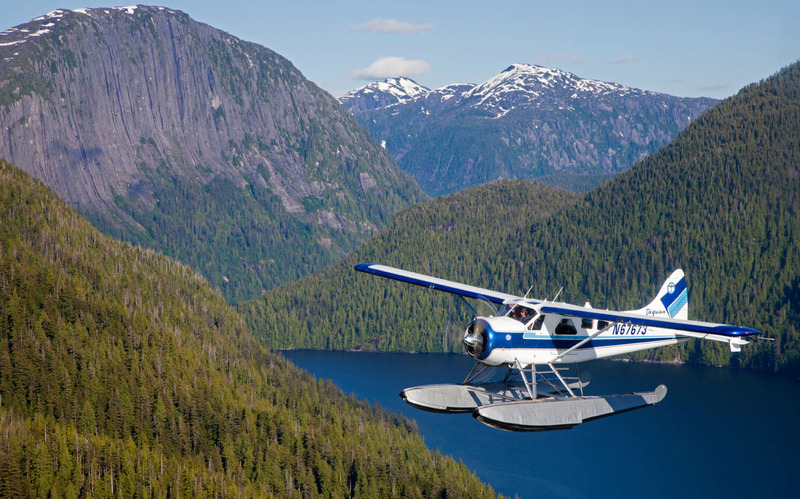 Here’s how your Misty Fjords floatplane tour will look and feel. 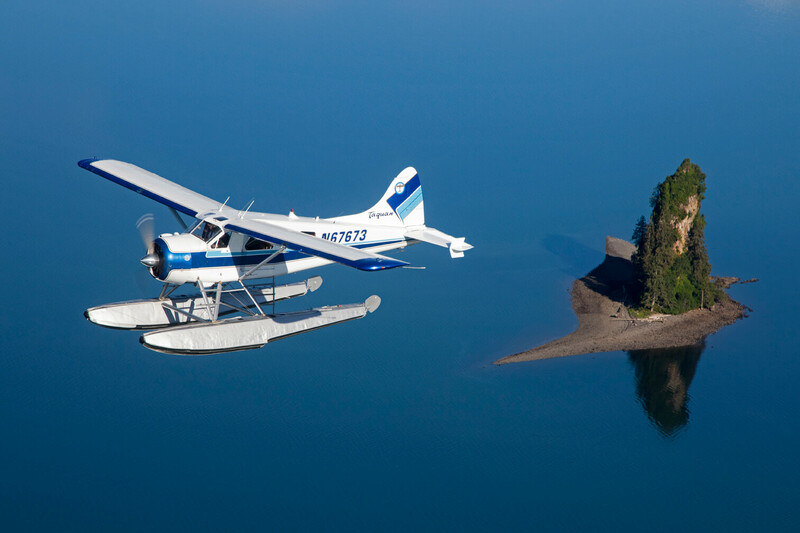 Imagine yourself in a flawlessly maintained DeHavilland Beaver or Otter. A highly trained, experienced bush pilot is at the controls. 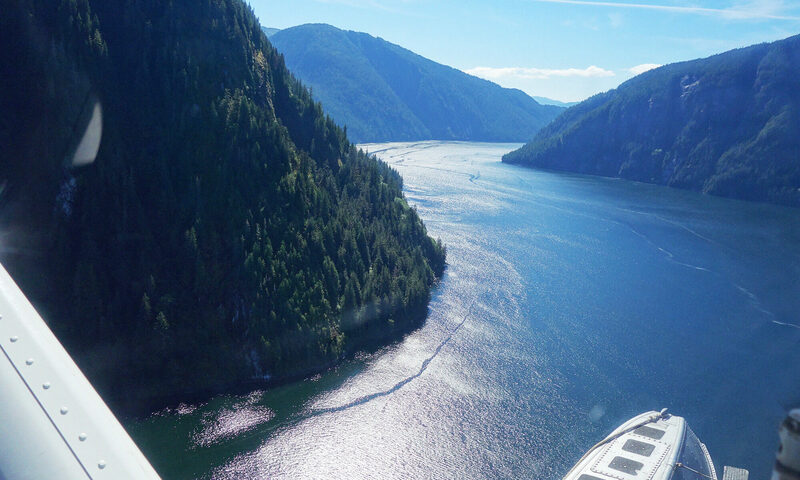 You are on top of the world, with the Misty Fjords National Monument sparkling below. This ice-rimmed wilderness was slowly carved out by massive glaciers tens of thousands of years ago. You’ll see cascading waterfalls, jewel-like lakes, and abundant wildlife. Lock your eyes on sheer walls of granite plunging over 3,000 feet into the fjords, lush forests of spruce, hemlock and cedar clinging to snowcapped peaks. 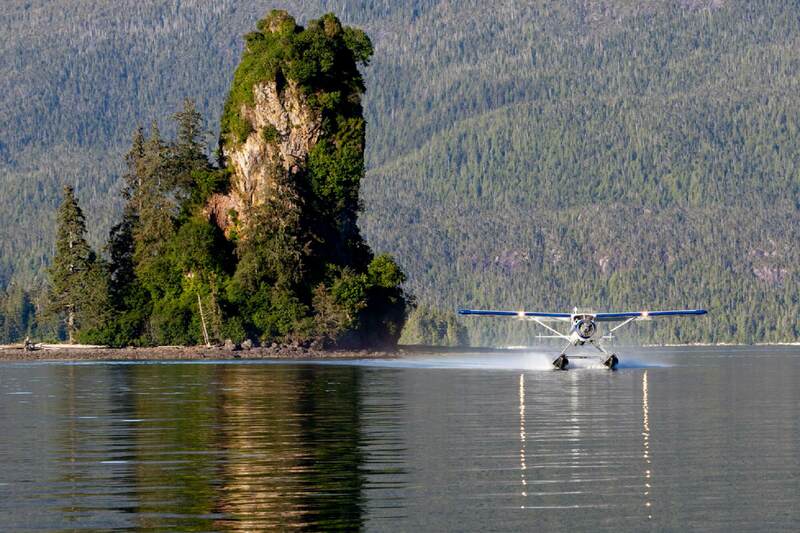 All in all, flightseeing over this pristine wilderness may be the highlight of your trip. Please Note: The weather is always part of your flight plan. 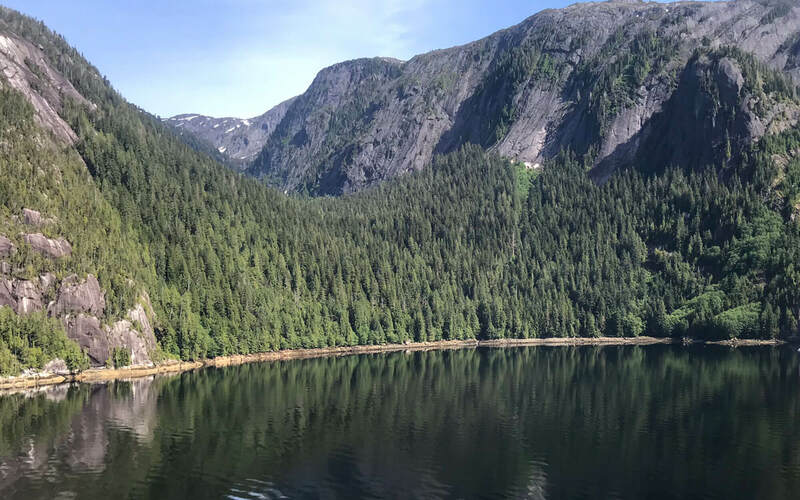 You may see New Eddystone Rock and Big Goat Lake to the South or Neets Bay and Bell Island Hot Springs to the North, depending on how the weather alters your route. As you might expect, this is another aspect of watching out for your safety. We are a Five Star Medallion Shield carrier. Without going into too much detail, let’s just say we are recognized for our distinguished safety and maintenance record. 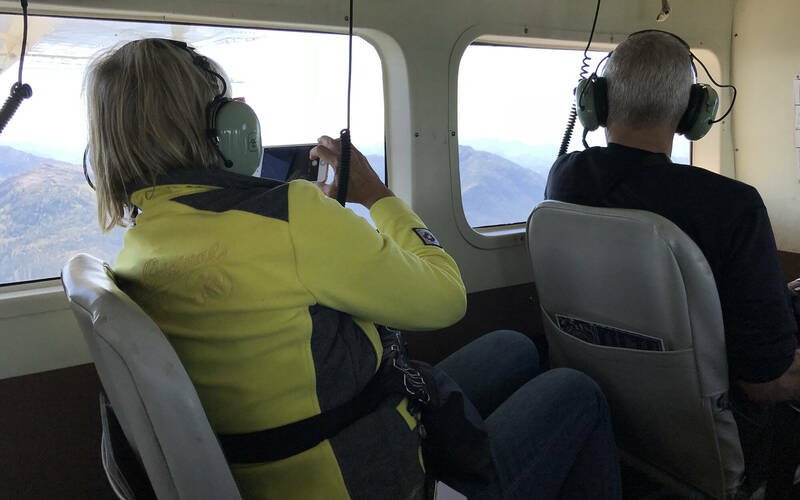 Excellent, Amazing experience, your pilots will make you feel comfortable on your smooth ride to Neets Bay and we were blessed with an appearance of 6 bears and many eagles. Definitely worth the price! We booked through our cruise ship. Bring camera with telephoto lens, good walking/hiking shoes. We viewed the bears for about an hour. Approximately 25 minute fight to the area. Overall about 3-3.5 hours for excursion. They do have a salmon hatchery, which is the main operation for the site, it feeds the stream the bears search, so likely for bears to make an appearance but no promises are made. About 1/4 mile easy walk from floatplane dock to bear viewing. Bathrooms are available. This was a side trip from the Alaskan cruise in late August. Larry our pilot was very knowledgeable and asked if we had a veteran in our group of 6. I'm a navy vet, female, and 74 and he invited me to sit in the co-pilot seat! He had to help hoist me up there and down again and was extremely polite and respectful! I didn't take photos because I didn't want to miss any of the sights. The tour was exciting as I had never been in a seaplane before. Would definitely recommend it as a once in a lifetime experience. What a super experience! Our Pilot Larry Conrad, really made the trip exciting as he related all the history as flew through the fjords. Climbing up past snow-capped mountain tops, looking down into the valleys, simple amazing. We landed on the water in a sort of lagoon, to get out, stand on the floats and take in the view and clean crisp air.